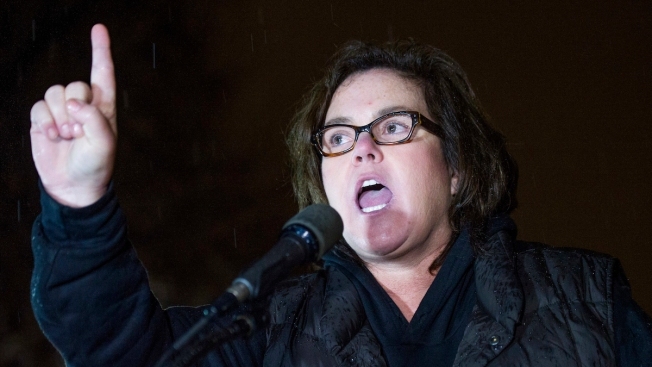 In this file photo, Rosie O'Donnell speaks at a rally calling for resistance to President Donald Trump, in Layfette Square in front of the White House in Washington, Tuesday, Feb. 28, 2017. O'Donnell and cast members from some of Broadway's biggest musicals plan to serenade Trump outside the White House. Rosie O'Donnell and cast members from some of Broadway's biggest musicals plan to serenade President Donald Trump on Monday — but from outside the White House in protest.